An article from the All About Birds Blog of the Cornell Lab of Ornithology explains how birds migrate seasonally, following the “green wave” of plant resources. The bird migration patterns show the importance of conservation efforts such as building the tree canopy. Some quotes from the article: Surprisingly, for many North American species the best route between summer and winter homes is not a straight line, according to new research published in the Proceedings of the Royal Society B. In spring, the study shows, birds follow areas of new plant growth—a so-called “green wave” of new leaves and numerous insects. In fall, particularly in the western U.S., they stick to higher elevations and head directly southward, making fewer detours along the way for food. The research—the first to reveal this as a general pattern common to many species—may help land managers improve conservation efforts by improving their understanding of how birds use habitat seasonally. Take the Long Way Home: “Green Wave” Explains Bird Migration Routes. In the Cornell Lab’s “Question of the Week” it was asked whether we should stop feeding birds in the autumn season, in order to “encourage” them to migrate. The answer is that bird migration is triggered in part by shorter hours of daylight, so they will respond to that. Food can be left out for stragglers, though! And as commented here, some people keep hummingbird feeders out all year long and say that their hummingbirds stick around. Maybe the birds know more than we do, about whether it will be a mild winter in Seattle or not. This entry was posted in Nature and wildlife and tagged birds, conservation, seasons, Seattle. Bookmark the permalink. 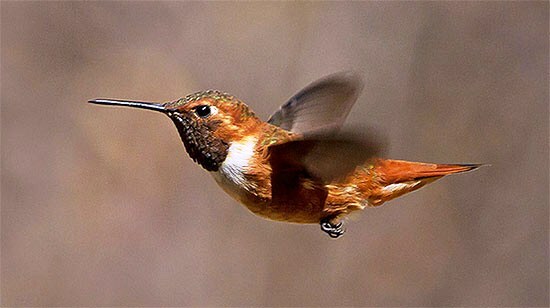 I was surprised to read we have hummingbirds that live here year round!